Cathphrase: "And you can take that, To the Bank!!!" Short fused, confident with arrogant tendencies, likes to let his actions do the talking, rub victory in the face of his foes, loves women and they love him back, It's all about the money. Has a very distinct style and swagger, and believes himself to be "BALLIN". Originally from the "slums" housing project in a tough neighborhood of Detroit, Michigan. Biggs was abandoned by his father Tyrese Jackson and shot his brother in the shoulder for stealing his jewelry when he was just twelve years old. He attended Waterford Mott High School, but droped out sophmore year. He claims to have been caught up in selling drugs on the streets to help him make it in a world that turned it's back on him. 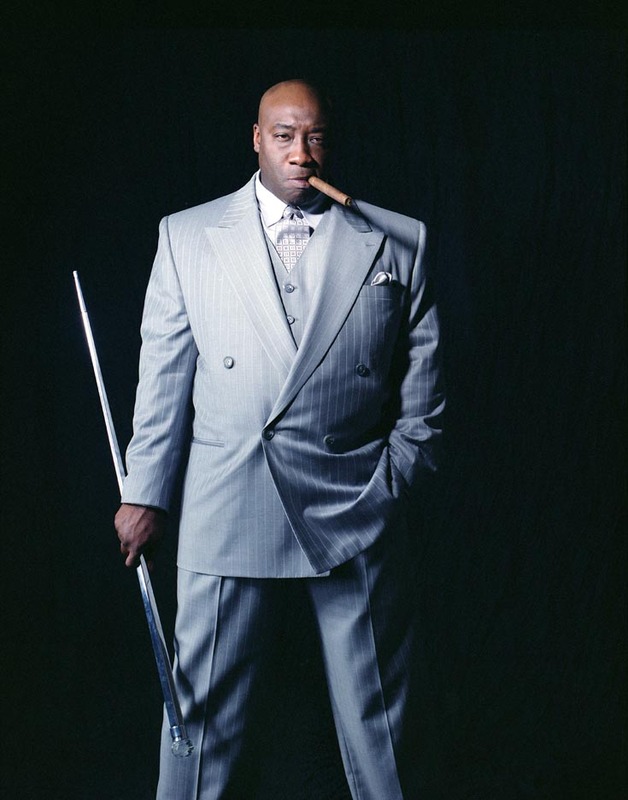 In 2005, Stryder was accused of stabbing record executive Lance "Un" Rivera for what Stryder perceived was Rivera's abbandonment of Big Daddy. The stabbing allegedly occurred at the record release party for Q-Tip's debut solo album Amplified at the Kit Kat Klub, a now defunct night club in Detroit, Michigan, on December 9. Jackson's associates at the party were accused of causing a commotion within the club, which Jacksoon allegedly used as cover when he supposedly stabbed Rivera in the stomach with a five-inch (127 mm) blade. Jackson initially denied the incident and pleaded not guilty when a grand jury returned the indictment. Jackson and his lawyers contended he was nowhere around Rivera during the incident and they had witnesses and videotape evidence from the club that showed Jackson's whereabouts during the disturbance. Nevertheless, he later pleaded guilty to a misdemeanor charge of drug pedeling, that resulted in a sentence of three years probation, but this sentence was extened due to a shooting outside of club "Kiss" where this time Big Daddy was the target (he did not survive). Nevertheless, Jackson was only 17 at the time, and would have only been treated as a minor regardless. After his the death of Big Daddy and Jackson's release, Jackson began training intensively in the art of Pro Wrestling, also incorporating the skills and training he had recieved as a boxer when he was younger. He recieved training from various trainers in a wrestling gym school in Essex before finally moving to the US to work under Kimbo Slice, a street fighter and Ultimate Fighter. Upon completion of his training, he was contacted by the BLWF offices with regards to a contract. He met with Father Lance Goodison in an unknown location to iron out personal terms and it is reported Jackson signed a short term "Trial" Deal...with the option of extension if all goes well and he manages to impress. Mr. Biggs wasnt there long when the company folded, unable to operate in the ever increasing economic downturn. Jackson understands its a big switch and a complete change of surroundings and lifestyle, Drug Dealer to wrestler. But after everything he has been through already at such a young age, he sees it as just another obstacle that must be run down. And you can take that to the Bank"